The 35th corridor in Northeast Seattle offers plenty of dental options. We thought it would be useful to list out the highest rated dentists in Northeast Seattle according to AreaDentist’s dentist data. It always makes us laugh anytime we’re driving on 35th, because it seems like there are a ton of dentists in the area. Just about every city block seems to have at least one dentist office in the little business center as you drive from 55th to 95th. If you need any helpful tips on how to pick the right dentist, check out WebMD’s guide to picking a dentist. With so many to choose from in our part of the city, though, it doesn’t seem likely that you’ll need much help finding one you like. Always remember, if you don’t like your dentist, you can very easily switch to a new provider. There are several great dental programs in Seattle, so it makes sense that we would have an abundance of reliable dental care. Do you have a favorite dentist you want to recommend? Let us know in the comments below! There are so many great food options in Seattle that it’s hard to pick our top five. But what if you want to get your dinner delivered? We have broken down our top five takeout food spots in Northeast Seattle. These are the local spots that either deliver food themselves or partner with companies like Amazon Restaurants and UberEATS. If you’re looking for more specific information about the meal delivery services available in your area, check out The Food Oasis for handy guides. 5) Jewel of India – While our favorite Indian food in the city might be up in Northgate at Saffron Grill. But for takeout? ‘Jewel of India’ is tough to beat. Definitely some of the best you can get delivered to your door. 4) Teriyaki Time – Big portions, and some of the best spicy teriyaki chicken you can get in North Seattle, definitely worth getting Teriyaki Time delivered. They have some of the fastest delivery times we’ve seen yet, so if you’re hungry right this second, this is a great option. 3) Shawarma King – Great Mediterranean food. You can’t go wrong with the sandwich or the plate, and absolutely, 100% get the Greek fries, they’re amazing and well worth trying. But you really can’t go wrong at Shawarma King no matter what you get delivered. 2) Romeo’s Pizza and Pasta – While there might be some better “strictly pizza” places you can order from in North Seattle, Romeo’s Pizza and Pasta has the variety that we love in a delivery restaurant. 1) Phayathai Lake City – By far the best Thai food we’ve had in Northeast Seattle. Their phad thai is amazing, the curries are perfect. It’s hard to argue with a great Thai restaurant that keeps a dinner for two under $25 as well. Five stars from us! If you’re looking to go out for dinner, check out Eater’s guide to the top 38 restaurants in Seattle here. Seattle Mag also has a good list here. What are your favorite delivery restaurants in North Seattle? Let us know in the comments below! Recently we saw several big cable trucks patrolling the streets of Northeast Seattle, putting new wires up on the city telephone poles. When asked if this was fiber internet, the answer was… vague. It appears that the NE Seattle area will be getting faster internet, as to whether or not its true fiber, is another question. But the speeds now listed on several major providers’ websites seems to indicate that the option to upgrade is here, or will be coming soon. Several years ago, there was a rumor that Seattle would be applying for Google Fiber, but that never seemed to materialize, either due to tough regulatory hurdles or because Google Fiber slowed its roll out nationwide. Probably a bit from column A and column B. You can view the full City of Seattle map here. Regardless, if you’re curious where you can find the best internet in Seattle zip codes, you can use this tool to search. If you’re hoping to check the government record rates of internet from the major companies operating in Seattle, you can review those here. There’s no doubt that Seattle as one of the fastest-growing technology hubs in the world will see some major competition among internet providers in the future, but for right now, Comcast does hold a majority monopoly on the lines they have run throughout the city. There has been a lot of pressure from city residents to bring more options to the city, but for now, contracts prevent much change from occurring. Interestingly, Washington state is now currently adhering to recently nationally repealed net neutrality laws, which will likely bring some interesting legal battles. This will perhaps set a national precedent for other states hoping to maintain net neutrality. Regardless, if you live in NE Seattle and you’re looking to upgrade your internet speeds, you might have a worthwhile option to explore! Keep an eye out on your street for service workers installing new lines, it might just be fiber. It’s fun to hop around your own city and find some fun little spots that don’t draw much tourist attraction. 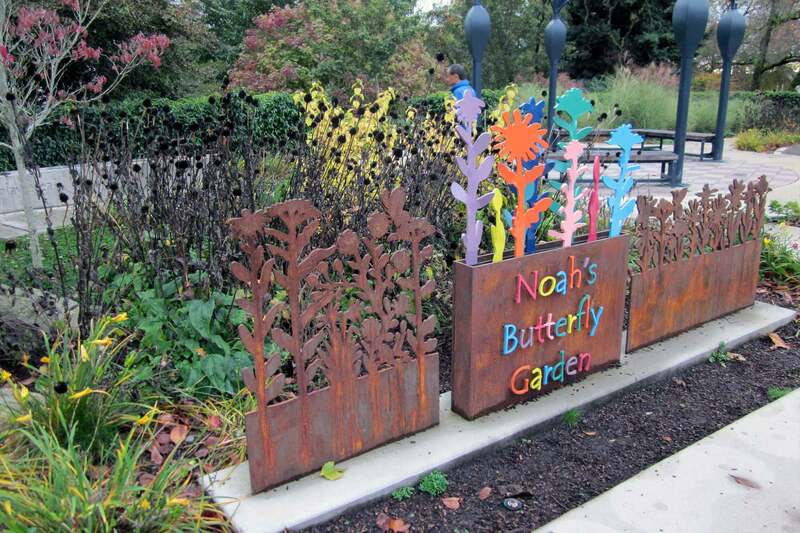 It can be fun to see these little pockets of local gems, right in your own backyard. And since according to Champion Traveler, it’s the best time to visit Seattle right now, we’re in peak tourist season, so it might be fun to avoid the big stops like Pike Place and the Space Needle in favor of some fun sights right in your own backyard. 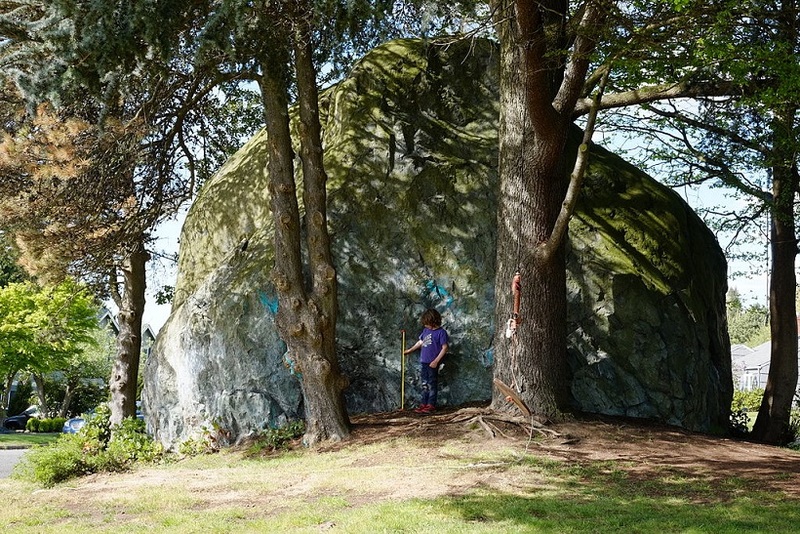 A giant boulder right in the middle of a quiet little neighborhood, with an interesting back story. The Wedgwood Rock is known as a glacial erratic, or basically a giant rock that differs from other native rock formations. In other words, there’s a giant boulder in the middle of the neighborhood that nobody really knows where it came from. Don’t think about climbing on it though, that’s a city fine of $100. Apparently this law was put in place to keep the pot smoking hippies off of the thing as Seattle was incorporating. What used to be a giant hole full of water is now one of the city’s most underrated parks. The Maple Leaf Reservoir Park now has sport fields, a walking track, huge playgrounds, butterfly gardens, and Cloud City Coffee right next door for a quick fill-up. This park is great for kids as well as adults, and is far less crowded than many of the city’s other large parks. 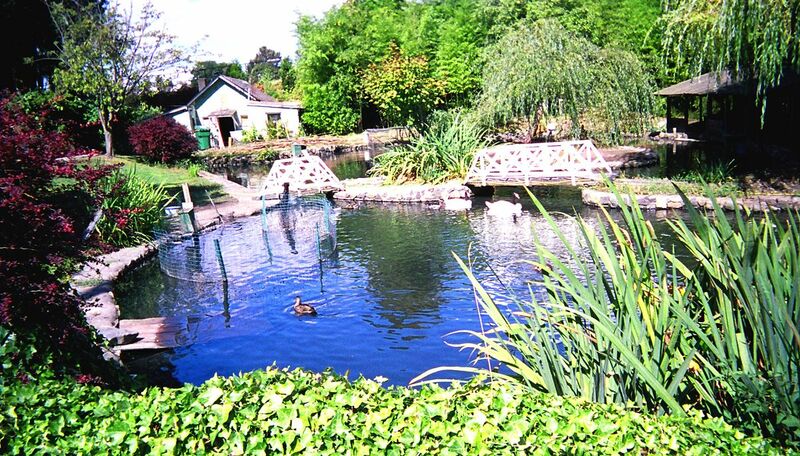 An adorable story about a young boy digging this pond 100 years ago before becoming a world-famous bird expert adds to the quirky aura surrounding Pilling’s Pond. While it’s a private park, it is still visible from the road, giving a great view at several different breeds of birds. 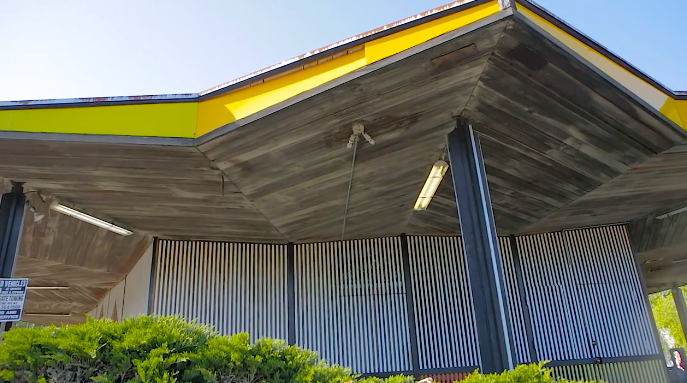 It’s a beautiful part of North Seattle’s quirky history. 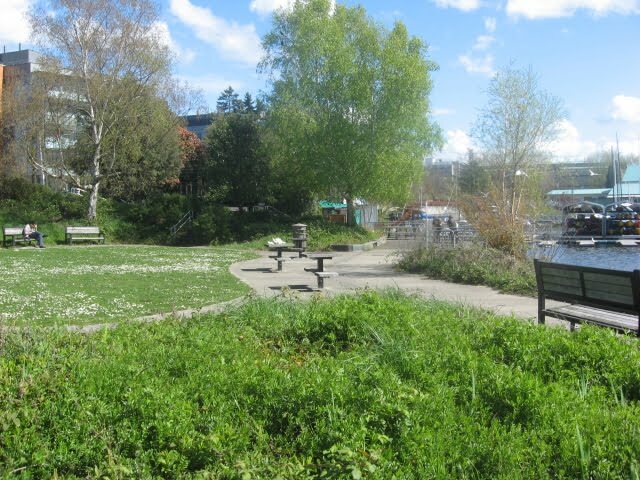 Waterfront parks can be some of the busiest in Seattle, but Sakuma Viewpoint south of the University of Washington campus remains a great little spot to have lunch on a sunny day, right on the water. It has a great view of the passing boats just about to travel through the cut. One of our favorite little spots to picnic. It’s also right next to Aqua Verde if you’re looking to rent a kayak to cruise around the two lakes. 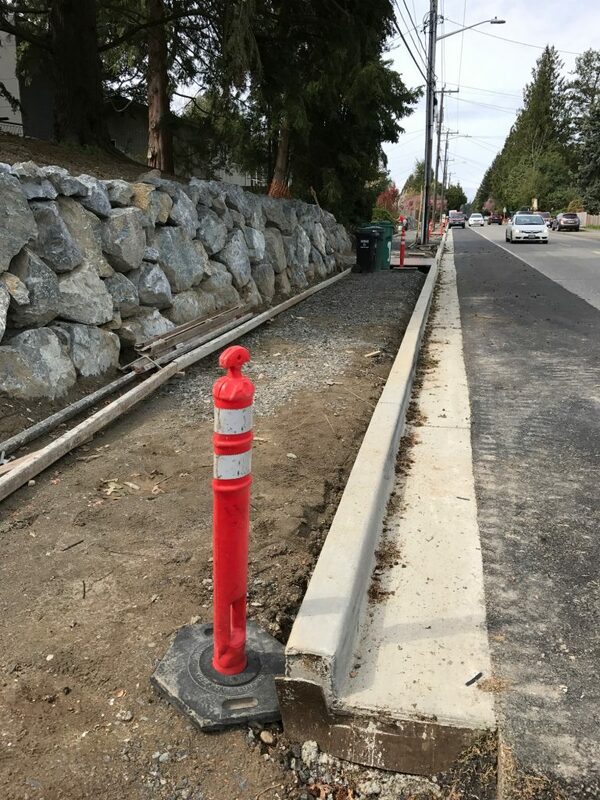 If you live in North Seattle, you know all too well that an evening walk with the intention of staying on the sidewalk can be a bit of a guessing game. Some blocks are great, others with no sidewalk at all, and sometimes you end up thinking you’re on a sidewalk and before you know it you’re walking in someone’s front yard (I’m looking at you… 75th and 40th). Regardless, one of the worst offenders is 95th street, connecting Lake City Way and 35th, two major arterials for commuters, and the street that yours truly walks almost daily after hopping off the 312 bus. Walking up 95th can feel a bit like Frogger, running between sections where the sidewalk is non-existent to get on more protected pedestrian territory. In recent winter months, I have instead opted to walk up the hill as soon as possible and use 94th as it seems like a safer alternative, perhaps on occasion swinging into Fiddler’s Inn to have a quick beer before heading home. However, there is new hope for safe foot traffic between these two arterials! In 2011, the city worked with local residents to improve foot traffic safety on 95th. The plan called to fix one of the worst sections of the street, with a full sidewalk rework between 32nd-35th, and more room for street parking. After years of delays and budget issues, the project is now on track, and slated to be finished in May if weather holds (there have been a few delays due to heavy rain this winter). I spoke with a resident who lives in-between the project’s construction zone, and she was very excited about the upcoming change. She mentioned that the city has covered the cost of the re-landscaping, giving several of the houses a fresh rock wall (as seen in the photos above). No property had to be purchased from residents to start this project, but there was some community outreach conducted to ensure that the locals wanted this fix to take place. 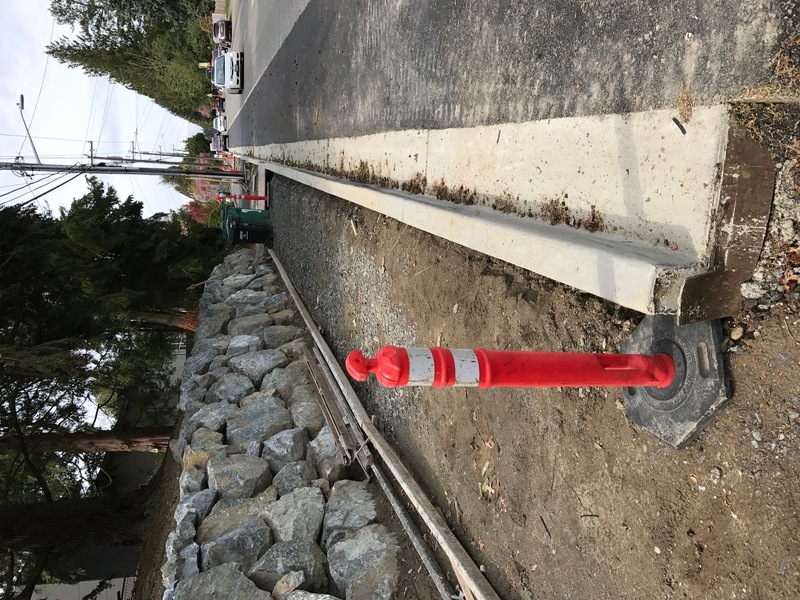 Between the street and sidewalk there will be a small easement where the city plans to plant trees, which should improve the look and feel of 95th in this section as well. The strange thing about the project is that it only stretches between two intersections. 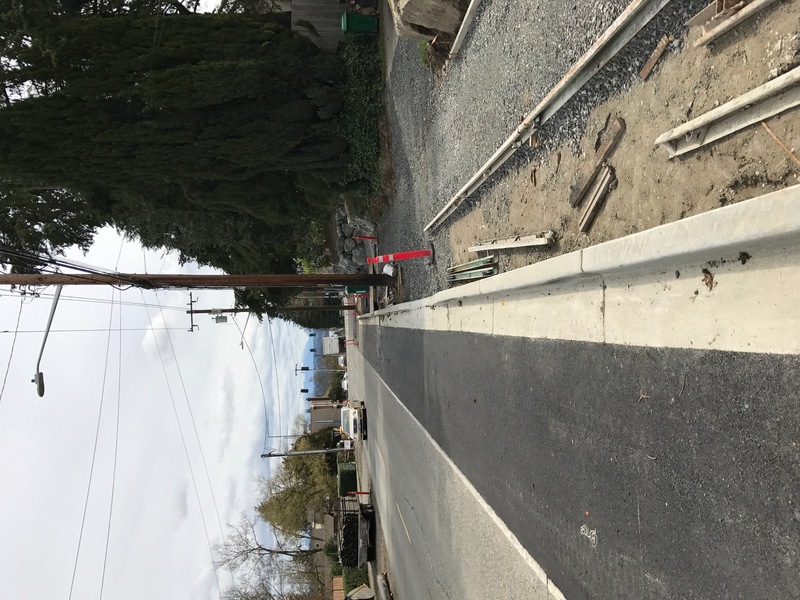 95th is a very long street for pedestrians, and while there are sections have have some sidewalk, for the most part this project seems to shortchange the majority of the street. 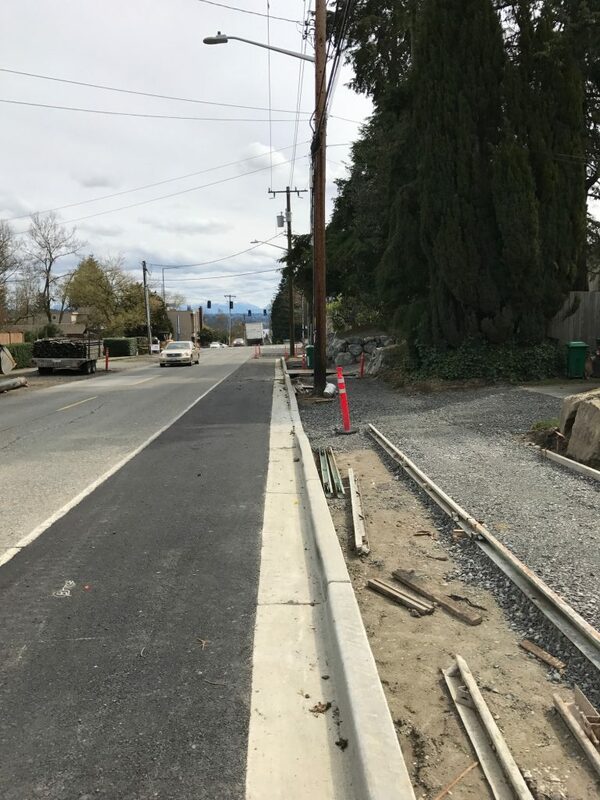 It would be nice to see the project connect the entire Lake City – 35th corridor to drive more foot traffic safely between these two thoroughfares. Regardless, this project is taking care of one of the worst parts of the street, so it’s exciting to see this progress. This article was written by Rob Toledo, editor at exstreamist.com and sportfacts.org. It seems Seattle is at a crossroads of identity. On one side, there are locals who’ve lived here their entire lives hesitant to the change. On the other, 1,100 transplants per week moving to the Seattle metro area eager to leave their mark on the city. While some Seattle neighbors have taken to the mantra, “Stop envisioning Ballard”, one business owner has received nothing but praise from all sides. Our North Seattle Contributor Tyler Davis Jones recently sat down with Growler Guys co-owner Kelly Dole, a 22 year Maple Leaf resident leading the charge towards positive community growth in North Seattle through delicious craft beer. Northeast Seattle has always trailed more popular Seattle neighborhoods with infrastructure, establishments and identity. So when looking for a location for Growler Guys, Kelly looked at some of the typical hot spots like Ballard, Fremont, Magnolia and downtown. But something kept him coming back to North Seattle. When the opportunity arose to lease the old Ying’s Drive-In on Lake City Way, Dole knew he’d found his new home. Whether you’re a local or new to the area, Growler Guys is truly a place where we can all get along. As Kelly looks forward into the future, he hopes that Growler Guys will encourage other small businesses, restaurants, music venues and more to land in NE Seattle. You can see what’s on tap at Growler Guys by visiting www.thegrowlerguys.com or you can drop in 8500 Lake City Way Seattle, WA 98115. This article is by Our North Seattle Contributor Tyler Davis Jones, a North Seattle Real Estate agent. He is a loving dad, husband, and Wedgewood resident who is investing in Seattle through his business, his writing, and his podcast, Rise Seattle. Sound Transit just announced in a press release on Friday that since adding the University of Washington station to the Central Link line, ridership has increased by 89% on the average weekday. This means that 65,000 people are now riding Link Light Rail any given day. Apparently, weekend ridership is also up 73% as well. For most North Seattleites, the University of Washington Light Rail station has been a welcome, but half-step towards accessing our nascent public transit system. The Roosevelt and Northgate stations are slated to open up in 2021, which should bring almost full operations to North Seattle. Also, since ST3 passed, the 130th infill station will be on the docket, but much further down the road. Correction: We had originally called this the University District Light Rail station, largely because that’s how it’s seen now, even though there will be a University District light rail station coming in 2021, around about the same time they open the Northgate Station. A series of meetings have been going on over the past few weeks around projects that can be submitted for funding requests through the City. This is a great way to get involved in our District, and the next meeting (second of four) is tomorrow at 10:00am at the Northgate Community Center. Sign up to attend here – represent your community tomorrow! Sometimes you fail. Other times you fail publicly. This blog is a representation of the latter. Obviously you would hope for some successes in there as well, which fortunately I’ve experienced a few of those in 2016, which have probably contributed somewhat to the failures here on Our North Seattle. I started this blog about a year ago with the intention of involving myself more in the North Seattle/District 5 community. What happened was absolutely unexpected, and was both exhilarating and stressful at the same time. This blog got a lot more attention than I thought. And I became overloaded. Quickly. Part of the reason for this was that I’m also employed full time. Really more than full time – I work for a startup in downtown Seattle, and that #startuplife can get crazy. Fortunately we’ve been somewhat successful over 2016, which has only increased my stress level because there’s more responsibility. I’m writing this coming off of another promotion announcement, which is, again, great, but also takes more time. Enter my friend Tyler. Tyler and I have known each other for many years, and was the first person that I profiled as a business owner in North Seattle. He’s great – he has an amazing wife and a beautiful baby who’s growing so fast. He’s also investing more and more time in the development of Seattle – he’s started working on a podcast called Rise Seattle. Tyler sat me down (and bought me lunch) to talk about Our North Seattle. He and I share the same vision – having a place for news, community highlights, advocacy, and overall communication around North Seattle, which is lacking in that area. So I invited him to join me. Beginning Mid-March, Tyler and I have committed to contributing about once per week to the blog, which means that we will have about two posts per week. We’ll be talking about local business, community events, and some news. We’ll try to have one long-form piece per month detailing a business, or a person, or even an issue, within North Seattle. We’re also looking for more help. To make this a true community blog, we want to have a community. First, we would love to have someone who’s passionate about quick daily news articles and social media to join the team. If you are interested in taking this on, email me with a few writing samples and we can talk about what it would look like (currently we’re all volunteer). And, if you have a passion for also writing weekly in a specific area of interest, we would love to hear from you! Throughout 2017, we want to grow this community and our reach so that you have a voice in North Seattle politics, business, and life. Tell your friends, sign up for our email list, and follow us on Social Media. Thanks for bearing with us as we relaunch, and I am excited to see what this year holds in store for us. A friendly press release showed up in my inbox this afternoon – which should be great for our North Seattle Precinct. 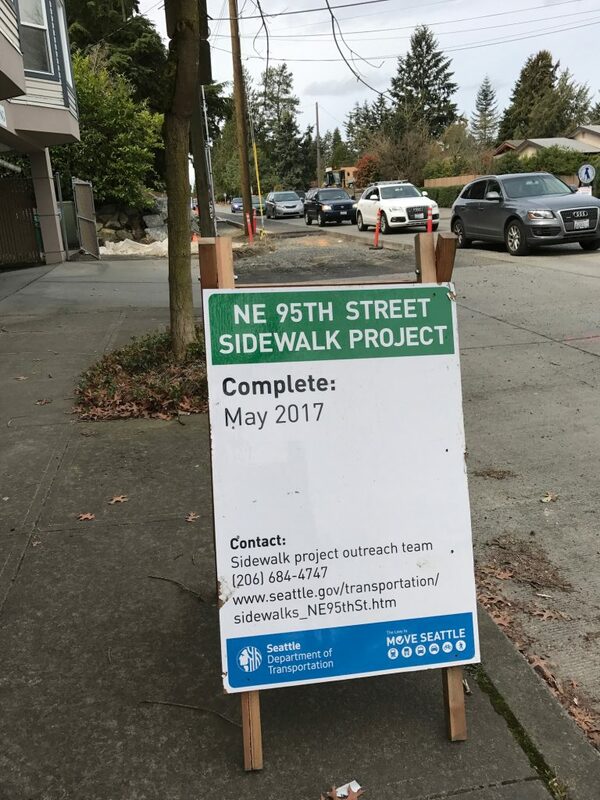 It sounds like North Seattle is getting some attention down at City Hall! SEATTLE (April 22, 2016) – Mayor Ed Murray today announced the funding strategy for the new Seattle Police Department North Precinct, slated to break ground in 2017 and open for business in 2019. The mayor will propose no new taxes to pay for the project. Seattle continues to collect large receipts in the Real Estate Excise Tax (REET) from the sales of residential and commercial properties, which can only be used to pay for City capital projects, including transportation infrastructure, Parks buildings and public safety facilities. Due to projected ongoing strength of REET receipts, the mayor will not propose a public safety levy in 2016 or 2017. To date, $21 million has been appropriated toward the $160 million precinct project, which will be located at Aurora Avenue North and North 130th Street. The mayor is proposing to fund the remaining $139 million through a combination of REET receipts, 30-year bonds financed by future REET receipts, and the one-time sale of other City assets. The new North Precinct will accommodate future growth in the Seattle Police Department and replaces the existing North Precinct facility at 10049 College Way North, which is seriously over-crowded. Expansion at the current site is not possible and the existing building constructed in 1984 to house 154 staff, is now home to more than 250 personnel. Planning work began on this project in 2013. In 2015, Seattle collected a record $73 million through REET on commercial and residential real estate transactions. The City projects that REET collections will continue to remain strong: $56 million in 2016, $56 million in 2017, $60 million in 2018 and $64 million in 2019. A portion of these revenues will be directed towards the construction of the new North Precinct facility. As part of the City’s effort to respond to homelessness, the City continues to partner with Mary’s Place to provide additional temporary shelter for homeless families within the old PI Bank building at 130th and Stone Way, which currently stands on the site of the new precinct.